BBG Dubai & Northern Emirates and BBG Abu Dhabi call on golfers to compete for commemorative cup! 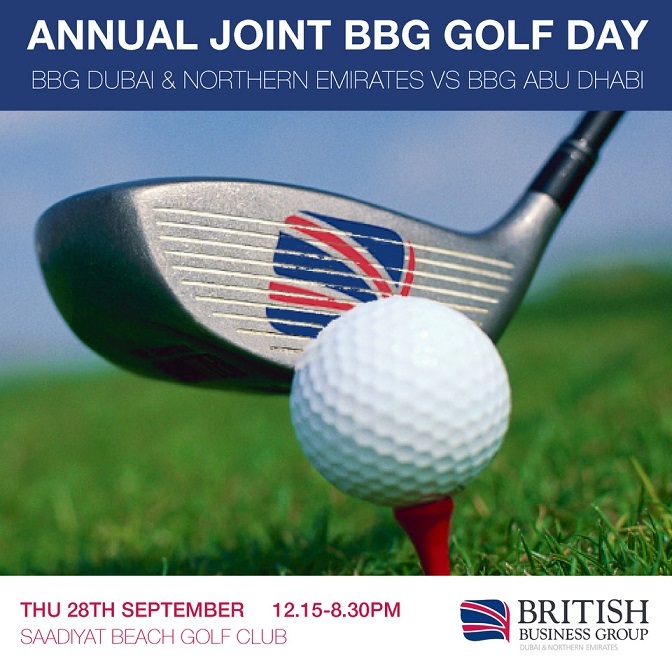 Dubai, UAE: Keen golfers will be taking to the green at Saadiyat Beach Golf Club in Abu Dhabi on Thursday 28th September for the British Business Group’s joint golf day. The participants, both BBG members and guests, will be competing to bring honour to the city they call home as BBG Dubai & Northern Emirates takes on BBG Abu Dhabi. With the commemorative cup at stake for the winning team, this friendly competition between the groups is a vital event for all golfers. However, if the competitive spirit, stunning setting and extensive networking opportunities aren’t quite enough, the post-play dinner and refreshments should offer plenty of incentives to any golfer in the UAE. BBG Dubai & Northern Emirates is therefore calling on anyone who can swing a club to get involved and to help defend the cup and title. Tickets are available for AED 750 per person, including an afternoon of golf, lunch boxes on the carts, golf shirt, and post-play dinner with tournament prize presentation and beverages. Supporters can join the golfers for dinner at the 19th hole for AED 250. The BBG Dubai & Northern Emirates is the region’s foremost business-to-business membership networking group, which enables like-minded professionals to further their business interests in the UAE and the wider region.